“We had one property that was experiencing significant door kicking problems that was causing huge issues for our residents and our management stuff. It was costing us a lot of time and money in monthly repairs and we were desperate to find a product that will actually stop the kick in problem. We tested several different door security and reinforcement products before finally making a decision to purchase the Door Armor kit from ArmorConcepts. It was the only product that stood up to our repeated attempts to force our way into the unit and it never failed. 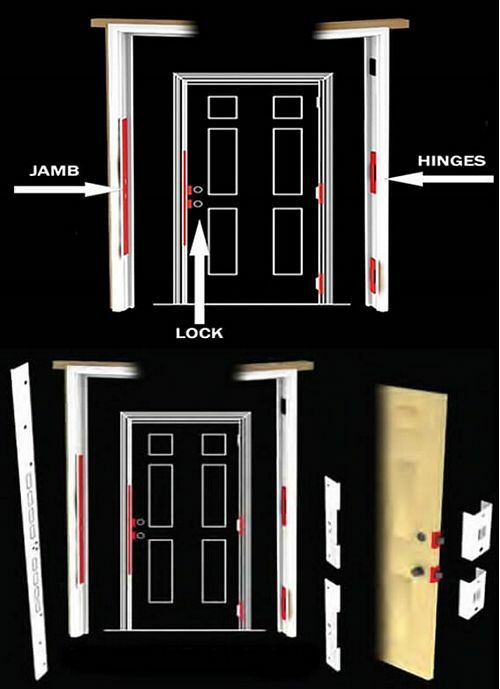 As a result of that research and testing, we concluded that the Door Armor product is the best one on the market and since then we’ve installed it on all the other entry doors on that property. Once they are installed, all the entry door kick in problems were resolved. “A couple months ago I moved into a new house and everything was going great. Than a little bit of crime started going on in our neighborhood with a couple doors being kicked in and cars getting broken into. So I decided that I wanted to try and secure my home a little bit. After shopping around at a couple different security systems, looking at alarms and window breaks and everything like that, I just decided that that really was not going to do the trick, since it’s going to take 20 to 30 minutes for the cops to even respond to the alarm and by that point all my stuff is already stolen and possibly I could be hurt. 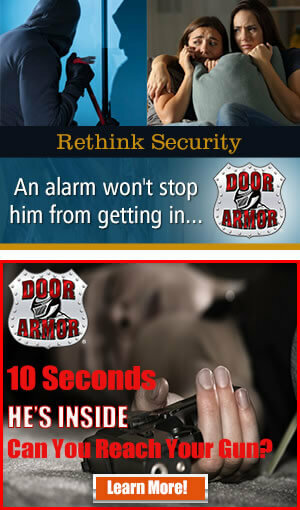 So I started to look for some other options and came upon the Door Armor kit from ArmorConcepts. It’s actually a very simple system. It’s only 5 pieces. They had videos testing it with battering rams, people trying to kick down the door and it’s really sturdy. There’s a quite a few other videos of actually testing it but I’m not going to do that since I don’t want to wreck my door. I figured if I could make it impossible for people to get into my home then I’m not gonna need a more robust security system than I already have. Essentially what you have is just these easy pieces. 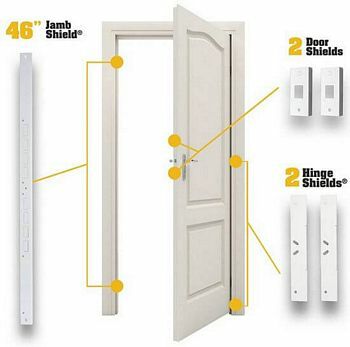 The long bar goes over the door frame and the two holes that are punched out of it are used for a deadbolt and then the door to go through there. The two small pieces go over the deadbolt on the actual door itself and then the two pieces go over the hinges. That’s all it is to it.